The ‘Keep Durant Clean & Green’ initiative, a community-wide effort to pick up trash, continues throughout the community with several groups and businesses who have adopted an area. Each year, Keep Durant Clean & Green dedicates a day in the spring to participate in the Great American Cleanup in conjunction with Keep Oklahoma Beautiful. 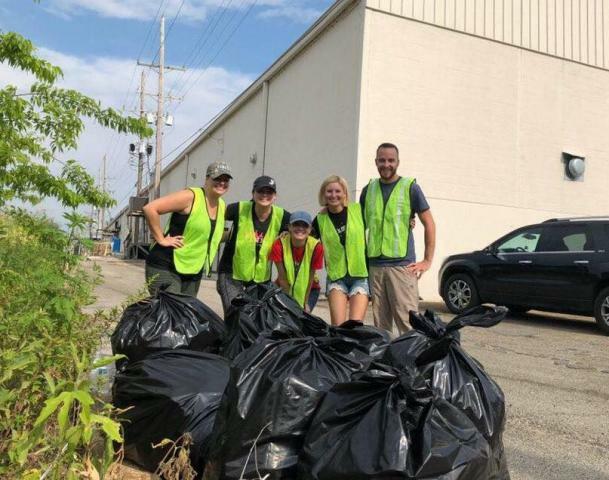 Through the initiative’s “Adopt An Area” program, several businesses and organizations continue the effort throughout the year. In July and August, the 2017-2018 class of Leadership Durant and CMC Steel Oklahoma did their part to keep Durant looking great. Leadership Durant had a pick up day the morning of Saturday, July 28, and picked up trash along Arkansas and South 9th Street. On the morning of Friday, August 3, the CMC Southern Post Crew picked up their adopted area along East Main Street. 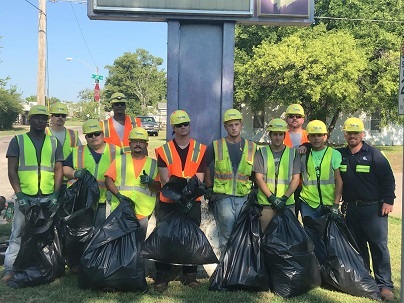 Another organization dedicated to Keep Durant Clean & Green is People First Industries, who picks up trash in needed areas throughout the community on a monthly basis. In 2017, People First Industries picked up nearly 17,000 pounds of trash. For more information on the Keep Durant Clean & Green initiative or to adopt an area in Durant, call the Durant Area Chamber of Commerce at 580-924-0848 or visit the Keep Durant Clean & Green page here.